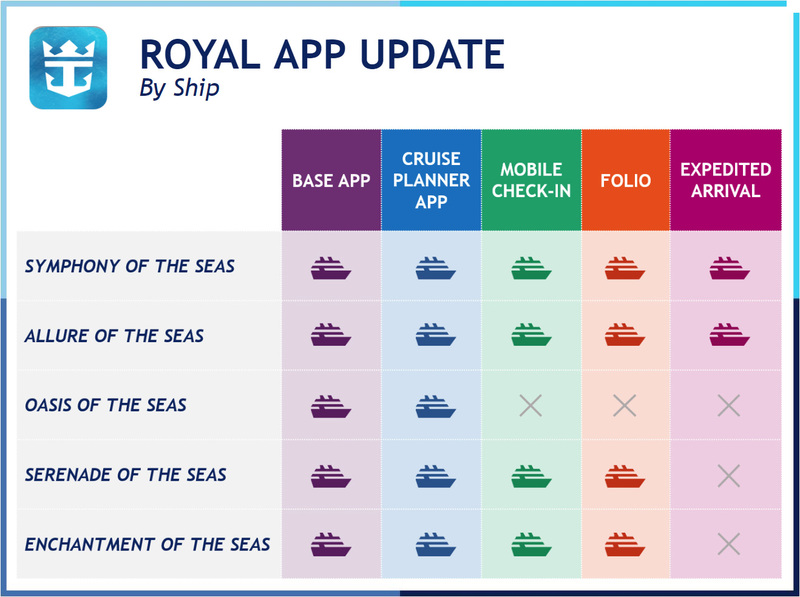 Royal Caribbean issued an update to travel agents on the current status of its new smart phone app and mobile check-in options for guests sailing on select cruise ships. 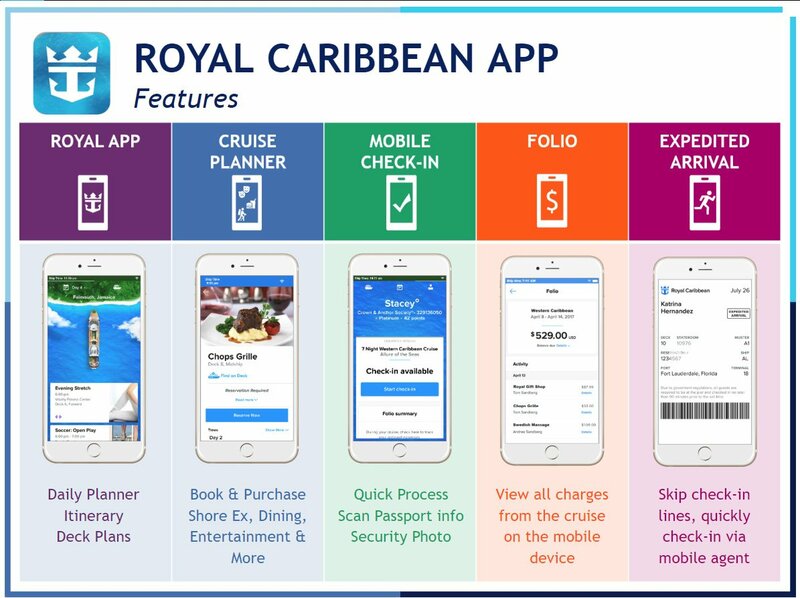 Royal Caribbean's new smartphone app is available on six ships currently (Mariner of the Seas was recently added), with Allure of the Seas and Symphony of the Seas offering real-time folio access, along with an expedited arrival option. The folio option allows guests to see all charges being made while on the cruise, directly in the app. Instead of going to Guest Services for a print out, or checking the stateroom television, the app will offer a real-time look at what they have spent onboard. Expedited Arrival is part of the mobile check-in process, and once guests complete their mobile check-in in full, they may qualify for expedited arrival. When the guest arrives to the pier with their digital Set Sail Pass, they can go into the Expedited Arrival line. This means these guests can bypass the traditional check-in line and instead check-in very quickly via the mobile station. Royal Caribbean hopes this will mean getting from curbside to onboard the ship in a matter of minutes. Expedited Arrival is currently available on Allure of the Seas and Symphony of the Seas, and will roll out to other ships in the future. The new app is still under development, but the arrival of folio management and expedited arrival marks another milestone for its development. Version 1.9.0 of the Royal Caribbean app was released on August 10. The app is available on the iTunes App Store and Google Play Store. 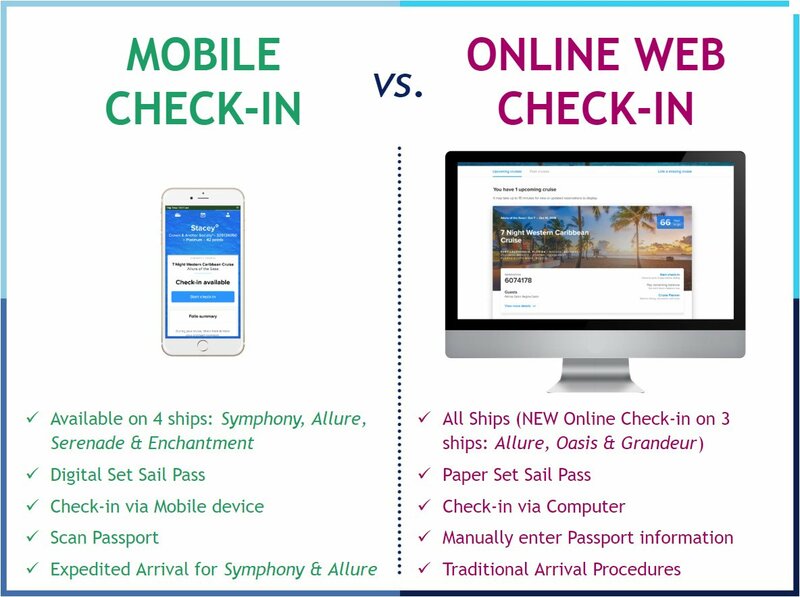 Last month, Royal Caribbean introduced the mobile check-in option to the app as well (and its website) for a simpler check-in process. 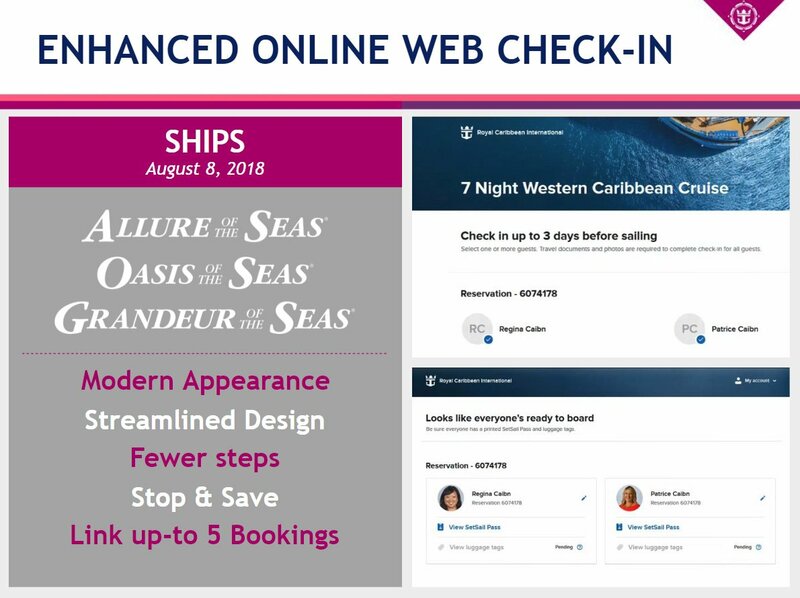 Royal Caribbean has also introduced recently online web check-in on three of its ships to offer a cleaner traditional check-in process.